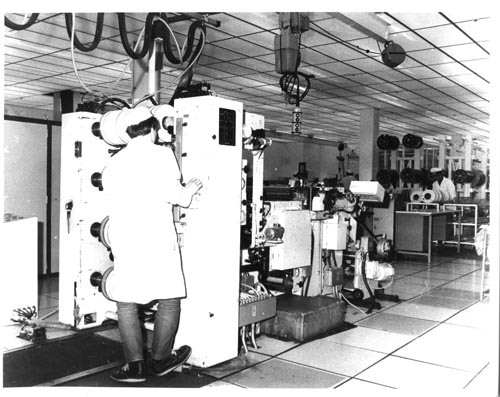 B&W image of production line for magnetic tapes at M.P.I. in South Wales, England. Verso ink: " Magnetic Tape Production M.P.I. South Wales 1981 England"